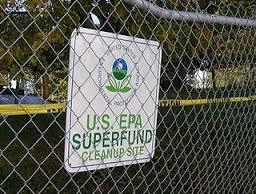 EnviroPolitics Blog: Can your business equipment rope you into Superfund? You are a businessperson who sends used or broken equipment to another business for repair or resale. If that equipment contains hazardous materials (as many do) and the business to which you send it later is designated as a Superfund site, are you on the hook for cleanup costs? The answer, you may not be surprised to learn is: it depends. Gibbons environmental attorneys David J. Freeman and Harry H. Clayton have studied the U.S. Supreme Court's decision in Burlington Northern & Santa Fe Railway Company v. United States, on "arranger liability" under the federal Superfund statute. They also have reviewed three subsequent decisions by the U.S. District Court for the Eastern District of North Carolina and discuss them all in an article published by the Bloomberg BNA Daily Environment Report. Cleanup site owner: Does your LSRP have your back?